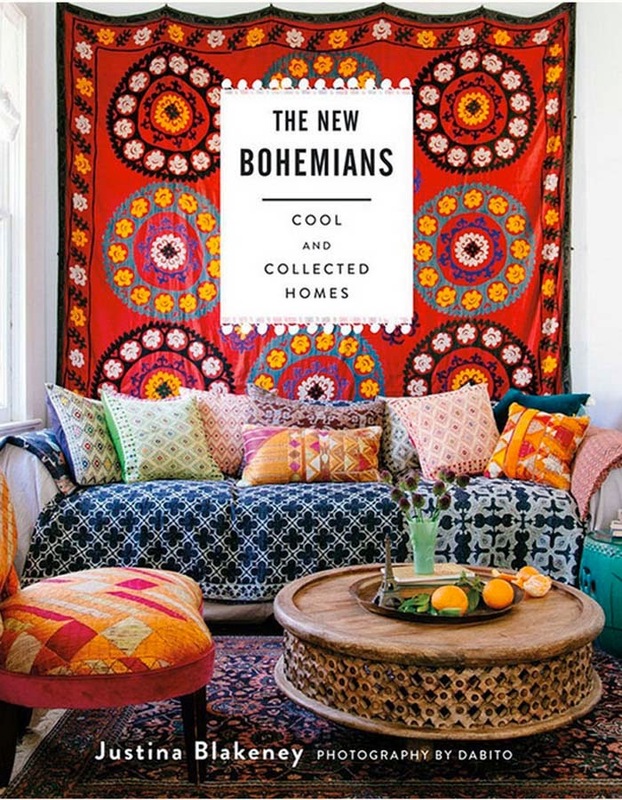 Justina Blakeney's new book, "The New Bohemians, Cool & Collected Homes" launched this month and we are pleased to be a stop on the blogging book tour. 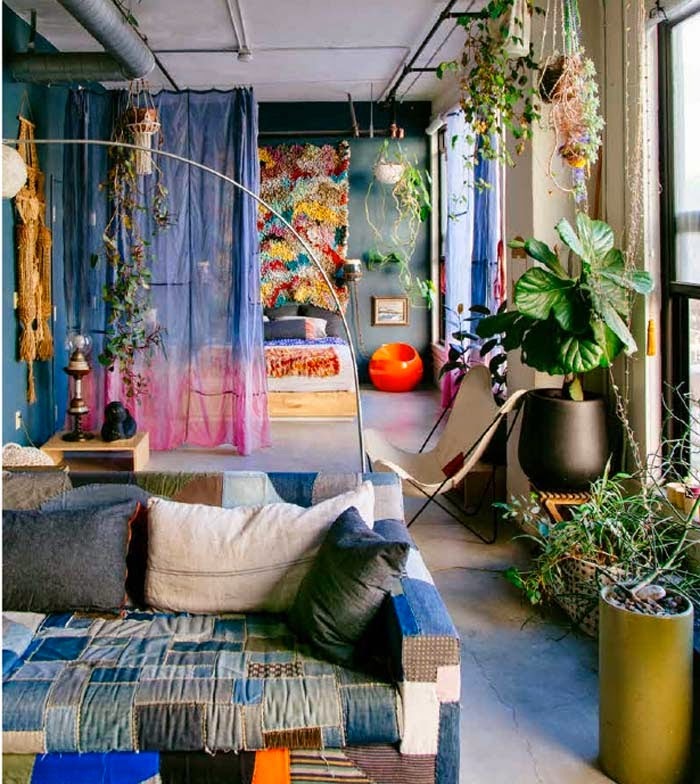 The LA-based designer's latest book explores 20 homes and interview's its' owners, all located primarily on the East and West coast of the US. Blakeney also created 12 DIY projects inspired by objects found in the homes, as well as a "Plant-O-Pedia" offering insight into achieving this aesthetic. 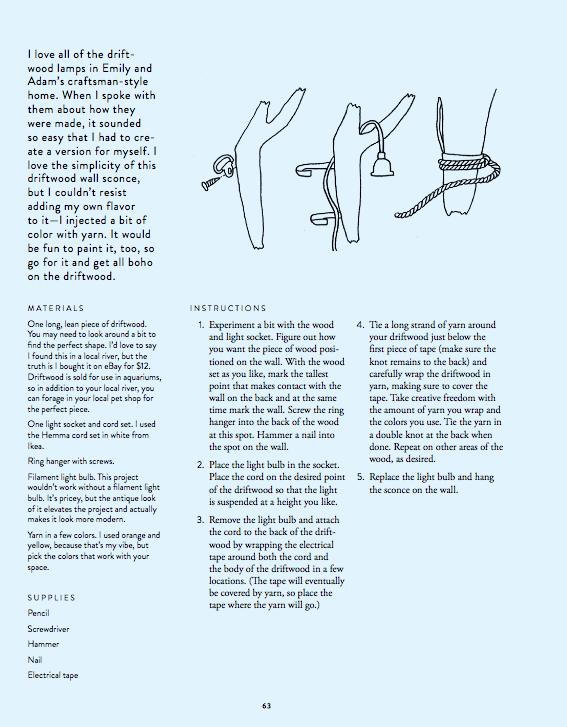 Justina also shares a DIY with us from her book, her Driftwood Wall Sconce. Check it out below. In addition, each home is accompanied by an Adopt-an-Idea section that offers general decor, styling, and shopping tips for easy duplication in your own home. Let's take a look! 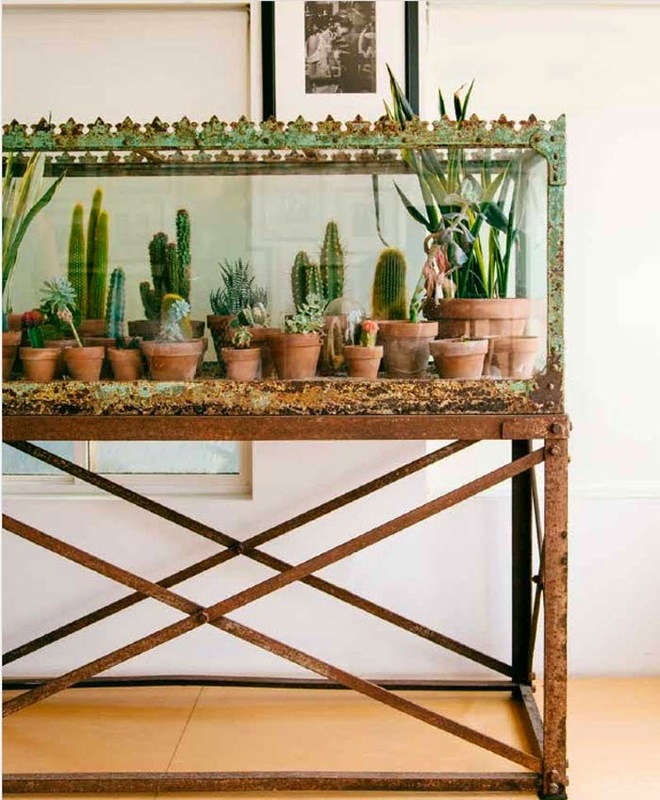 We're in love with this "crazemazing" Victorian aquarium turned terrarium in the home of Arielle Pytka in Venice Beach, California. 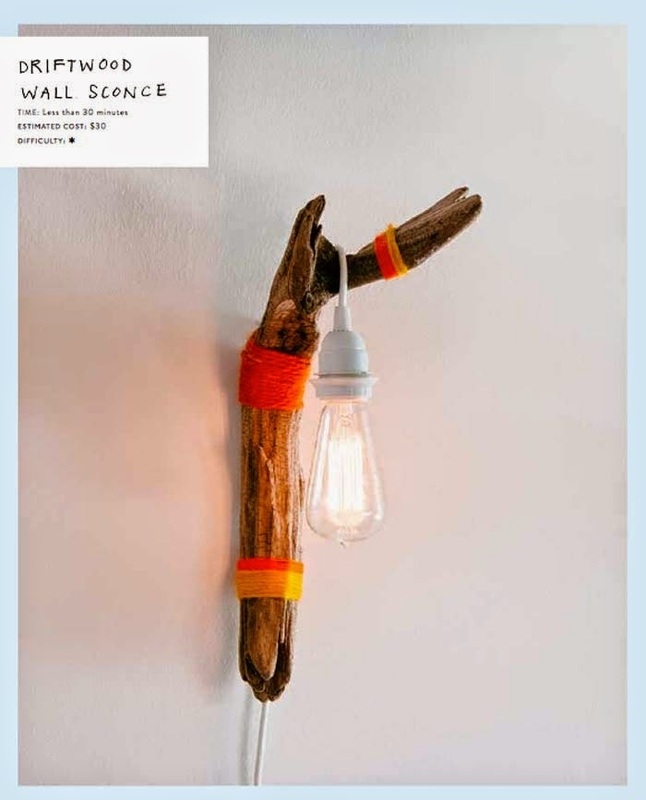 And a fun driftwood sconce light DIY project Justina created inspired by all of the driftwood lamps in Emily and Adam's craftsman-style home located in Portland, Oregon. Check below how to make it. 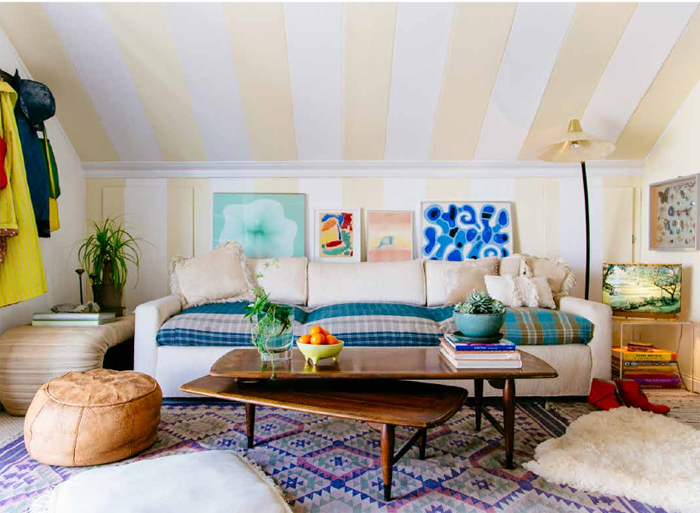 The patchwork sofa in the Los Angeles home of Adam Pogue is to-die-for if you're a fan of Japanese boro textiles. After a work trip to Japan, Adam started sewing these scraps directly onto the upholstery on the couch, taking close to a full year to cover. We also love the home (living room below) of Justina's sister, Faith and her daughter Noa. An adorable and colourful space filled with a heap of style (you can certainly tell they are sisters)! There's so much inspiration packed in into this book, and our heads are already spinning with ideas to inject into our own space. A definite must-have for the free spirit nester! Plus we're excited to give away a copy of the book on our IG feed today! Click here to enter! Estas imágenes rebosan inspiración... Perfectas para primavera!! !